Did you know you can develop Android Games optimized to run on the Intel Platform? Would you like to learn game programming for Android? Strathmore University, in partnership with Intel Corporation will roll out a fully sponsored 8 week Training Program focused on enabling programmers to learn how to develop Games on Android. 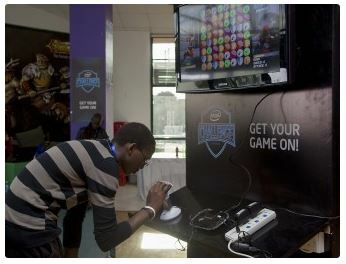 The program offers participants step-by-step training through the development of complete games. The course is aimed at anyone who has a great game idea, but who lacks the opportunity, skills or experience to be able to turn their idea into reality. Pre­vi­ous exper­i­ence pro­gram­ming in either C++ or Java is desir­able but not mandatory. Previous experience programming in either C++ or Java is desirable but not mandatory. At the end of the training we will hold a Hackathon and reward the winning game developers. 2nd Prize- Asus Fonepad with Intel Inside. Register Here to attend this training. This entry was posted in Featured and tagged Android, Gaming Challenge, Hackathon, Intel, Strathmore University.